Rich autumnal colours such as golds, reds, warm oranges, cream, burgundy and browns make the perfect tones for a rustic wedding. Autumnal flowers such as orange dahlias and hibiscus flourish in the crisper weather. Calla Lillies can bring structure to your bouquet while the classic rose adds textural notes to any arrangements. The cooler weather means that the flowers will last longer and you can be more adventurous with your design – think big and bold. 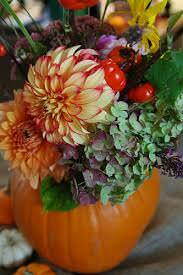 You could even pay homage to Halloween by adding some berries and miniature squashes to your arrangements. Avoiding the busy summer months can have significant financial benefits, leaving you more to spend on those finer details. 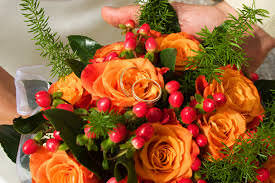 You are more likely to get your pick of your preferred date, caterer, florist, and photographer and many are happy to offer discounts for ‘off season’ bookings. The Weather – yes the weather! So it might not be as warm as July and August but let’s be honest there are no guarantees with the weather in this country at any given time! September, October and November often offer stunning sunny days with a delicious crispness to the air. The autumnal colours lend themselves to harvest and rustic themes – you could bring the outside in by using rustic twigs and branches, or pumpkins for the centre pieces and toffee apples as name holders. Adding fairy lights and candles will complement the feeling of warmth and tranquillity. 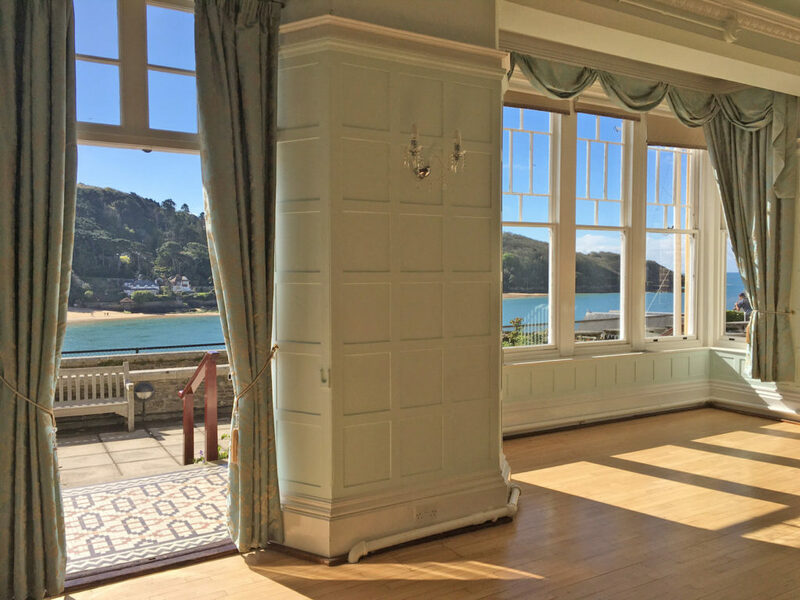 Enjoy Salcombe at its best! Avoiding the insanity of high season has many benefits – not least of which is the ability to park! Accommodation options are far more flexible from September onwards, with many places offering weekend breaks and lower rates.